3 Phased D.C Spot Projection Welders offered by us are widely used in engineering and construction industry. These machines consume 1/3 rd electric power than conventional machines. Moreover, these are DC machines, which deliver excellent performance. 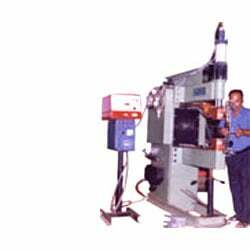 Our machines are also offered to the clients in different specifications to meet the varied industry requirements.